This category lists intumescent paints and coatings for structural steel sections that can provide fire resistance for up-to 60 minutes in the event of exposure to cellulosic fire. They will react to the heat from a fire by expanding to form a protective char layer of differing depths, dependant on product. Please check product descriptions for fire rating compliance, application methods – brush, roller, or airless sprayer - colour options, and product compatible system recommendations – primers, basecoats, or topcoats. Intumescent Paint for Steel disclaimer: Always ensure the product you are purchasing is suitable for the intended use/project. This will include but is not limited to gaining clarification that the product in question can achieve the required fire protection for the steel sections and environment you have. The sub-categories within the Intumescent Paints for Steel section allow users to filter by internal or external use, on-site or off-site application, and product type – water-based, solvent-based, epoxy-based and MMA-based. These are to be used as a guide only as there will be instances where a product will be able to achieve 90min protection on certain steel section sizes but not others, or where it is suitable for external use in environments up to C4 but not C5-M for example. For further product, project and pricing support, we ALWAYS recommend you contact our Technical Department before purchase and use. Fire protection doesn’t have to be hard work, let our technical staff help you get the level of protection you require and the finish you want. If there is a product you cannot find, please contact our Technical and Sales Support Team on 0113 245 5450. Jotun Steelmaster 1200WF is a one component waterborne acrylic thin film intumescent coating independently tested and approved for fire protection of structural steel exposed to cellulosic fire up to 180 minutes. Suitable for properly prepared carbon steel substrates. Jotun Steelmaster 120SB is a one component solvent based acrylic thin film intumescent coating independently approved for fire protection of structural steel exposed to celulosic fire. It can be used as mid coat or finish coat in atmospheric environments and is suitable on approved primers on carbon steel and galvanised steel substrates. 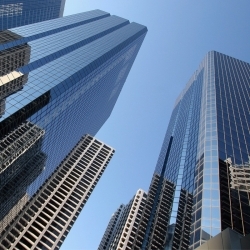 Jotun Steelmaster 60/120 is a one component solvent based acrylic thin film intumescent coating independently approved for fire protection of structural steel exposed to celulosic fire. It can be used as a mid coat or finish coat in atmospheric environments and is suitable on approved primers on carbon steel and galvanised steel substrates. 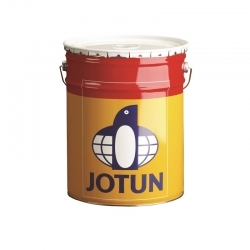 Jotun Steelmaster 60SB is a one component solvent based acrylic thin film intumescent coating independently approved for fire protection of structural steel exposed to cellulosic fire. It can be used as a mid coat or finish coat in atmospheric environments and is suitable on approved primers on carbon steel and galvanised steel substrates. International Interchar 1260 is a single component, borate, chlorine and APEO free, water borne intumescent coating designed for on-site application to interior exposed structural steel requiring protection from cellulosic fire. International Interchar 2060 is a single component, solvent borne, borate free, high solids, low VOC, thin film intumescent coating optimized for 60 minutes fire resistance to structural steelwork. Independently tested at accredited laboratories to BS476 Parts 20-21, AS 1530.4-2005 and AS 4100, and third party assessed and certified. 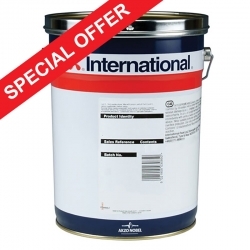 International Interchar 212 is a high performance, high build, solvent free, two pack modified epoxy intumescent fireproofing coating designed to be used on steelwork requiring protection from cellulosic fires. 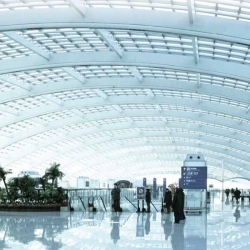 Nullifire S708 Durable Water-Based Intumescent Basecoat is a white thin film intumescent coating for the fire protection of internal and semi-exposed structural steelwork but can be fully exposed during construction. It can provide up to 60 minutes fire resistance. 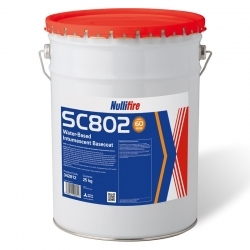 Nullifire SC802 On-Site Water-Based Intumescent Basecoat is a water- based, white, thin film intumescent coating for the protection of internal structural steelwork. Nullifire SC802 can provide up to 60 minutes fire resistance. 60-minute fire rated Intumescent coatings for steel available at Rawlins Paints can be applied to galvanised steel, mild steel and cast iron. Always check product data sheets for a full substrate application guide, to ensure that a product is suitable, and manufacturer recommended for use on specific types of steel. Alternately, contact Rawlins Paints’ technical support team, where we will be able to provide more in-depth product information, along with recommending full intumescent paint systems for steel.